Like many young boys, Danny dreams of making it into the record books. Eternally optimistic, he writes to Mr Bibby, Keeper of the Records, with hilarious accounts of his chaotic endeavours. In this book, Danny will attempt to break the following records. 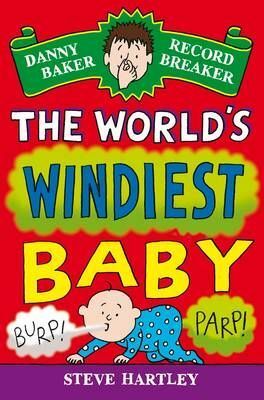 Drumroll, please ...Windiest baby! Biggest underpant-hat! Most infectious yawn! Tallest pizza tower!